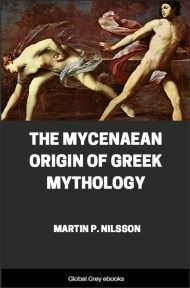 This is a study of the origins of classical Greek mythology in the Mycenaean era, which preceded the era of Homer, Hesiod and the dramatists by several hundred years, separated by a dark age. 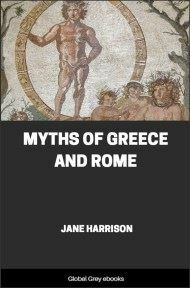 Chapters include: How Old Is Greek Mythology? ; Mycenaean Centers And Mythological Centers; Argolis; Laconia; The Dominion Of Pylos; The Rest Of The Peloponnese; The Ionian Islands; Southern Boeotia; Northern Boeotia And Thessaly; Attica; Heracles; and, Olympus. I commence of course with Argolis, for this province held the primacy both in Mycenaean civilization and in Greek mythology. 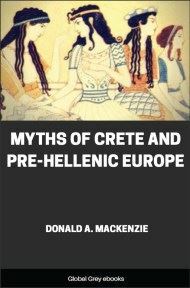 It is the richest in Mycenaean remains as well as in myths. 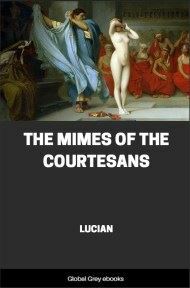 Its capital was Mycenae, and that this city should give its name to the age and the civilization with which we have to deal is justified by discoveries which have been surpassed nowhere; for in this connection we do not speak of Crete and the Minoan civilization. Mycenae was the proudest and wealthiest town of Mycenaean Greece. The architectural remains are imposing: the city wall with the Lion Gate, the only monumental sculpture from prehistoric times, the unfortunately very ruinous remains of the great palace, the nine bee-hive tombs which in number and size surpass those found on any other site. The so-called tomb of Atreus is the largest and stateliest dome erected before the building of the Pantheon in Rome nearly a millenium and a half later. The famous shaft-graves yielded the finds through which the Mycenaean civilization was first discovered; their richness is still unsurpassed. There are also numerous chamber tombs; Professor Tsoundas excavated some of them long ago and the English School in Athens explored recently the extensive cemetery of Kalkani. Their great number proves that Mycenae was populous and their contents, that its inhabitants were prosperous. Tiryns seems almost to rival Mycenae because of its mighty walls with their galleries and the well preserved remains of the palace, although it is a distinctly smaller town, and what has been found there of other remains and objects is not so important as the finds at Mycenae. There is, however, an extensive lower town and a well built bee-hive tomb. Quite recently an extensive work was discovered through which a river southeast of Tiryns was diverted in order to protect the lower town from being flooded. The third Mycenaean fortress in Argolis is Midea. Its imposing walls enclose an area larger than that of any Mycenaean site except Gla; it is still unexplored, but in the neighborhood hardly a mile to the south at the village of Dendra, Professor Persson had the luck to discover a collapsed but untouched bee-hive tomb and several chamber tombs. The finds are famous and rival in value those of Mycenae. It is proved by archaeological facts that on the site where the famous temple of Hera, the Heraeum, stood later, there once was another Mycenaean city. There are traces of Mycenaean walls and houses; Mycenaean sherds and idols are found; there is a bee-hive tomb in the neighborhood, and, finally, rich chamber tombs from all periods of the Mycenaean age were recently excavated by American archaeologists. The remains from Argos, the capital of Argolis in historical times, are less significant. On a low hill called Aspis, Mycenaean sherds were found and on Deiras, the ridge which unites this hill with the imposing acropolis, the Larissa, some chamber tombs were excavated. On the Larissa some remains of Mycenaean walls were discovered recently. There are also several minor sites in Argolis; e.g., in the neighborhood of Corinth, Nauplia, and Asine, where a Swedish expedition has unearthed a small Mycenaean town and found a series of chamber tombs. This brief recalling of the outstanding archaeological facts will be sufficient for our purpose. Turning to the myths, we commence with the capital in the Mycenaean age, Mycenae. There are two series of strikingly different tombs, the shaft-graves and the bee-hive tombs, both testifying to great wealth and power. It has been said that this difference in funeral customs is accounted for in the mythical narratives telling of two royal houses at Mycenae, one of which succeeded the other, the Perseidae and the Atreidae. The earlier series of tombs, the shaft-graves, have been said to be those of the Perseidae and the later, the bee-hive tombs, to have been erected by the later dynasty, the Atreidae; but this parallelism can hardly be held reliable. It is more specious than founded on facts and had better be left out of account. We turn to the myths themselves. The most prominent hero of Mycenae in the earlier mythical generation is Perseus. 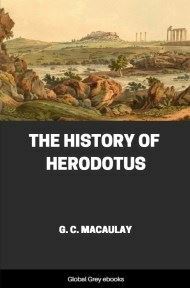 The kernel of his myth is the slaying of the monster Gorgo, and is perhaps the best instance of a folk-tale received into Greek heroic mythology. To this kernel his birth story had already been added in Mycenaean times, but the episode taking place on the island of Seriphus seems to be of a rather late date and may be passed over here. The myth of Perseus is unusually crowded with folk-tale motifs and this is in some measure a proof of a high antiquity. Folk-tales are told in all countries everywhere and they are not localized by other peoples. 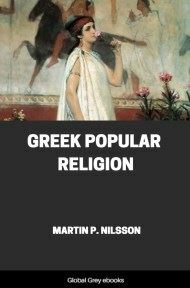 In Greece, however, they were localized because of the innate tendency of heroic mythology to localize its heroes, and because the folk-tale was preserved only when it was received into the heroic mythology.